Troubled by the feeling that she belongs nowhere after working in East Africa for 15 years, Frankie Rowley has come home—home to the small New Hampshire town of Pomeroy and the farmhouse where her family has always summered. On her first night back, a house up the road burns to the ground. Is it an accident, or arson? 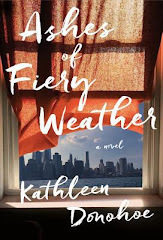 Over the weeks that follow, as Frankie comes to recognize her father’s slow failing and her mother’s desperation, another house burns, and then another, always the homes of summer people. These frightening events, and the deep social fault lines that open in the town as a result, are observed and reported on by Bud Jacobs, a former political journalist, who has bought the local paper and moved to Pomeroy in an attempt to find a kind of home himself. As this compelling book unfolds, as Bud and Frankie begin an unexpected, passionate affair, arson upends a trusting small community where people have never before bothered to lock their doors; and Frankie and Bud bring wholly different perspectives to the questions of who truly owns the land, who belongs in the town, and how, or even whether, newcomers can make a real home there. 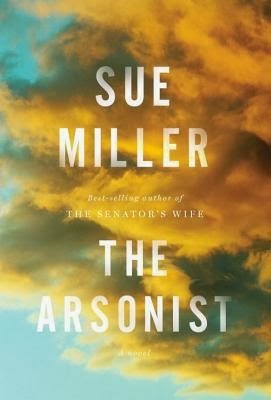 I had no idea Sue Miller has a new book coming out! This sounds terrific -- I've enjoyed so many of her books, so I'm glad to hear about this one too! Wow! This looks really good! I hope it is as I will be adding it to my list as well! Thanks for a great pick! This book sounds great! Thanks for sharing! I'm not sure if this is my thing but I've been trying to stay open and try more adult books so we shall see. I hope you it! *sorry about the deleted comment. Great cover! Looks like a good read, too! This sounds interesting. I like the concept. Oh that sounds really good! Great pick! I haven't done this for awhile. Your book sounds interesting. Beautiful cover and this sounds really intriguing! She is a great author! Can't wait to read it. This looks fantastic. Adding to my tbr!